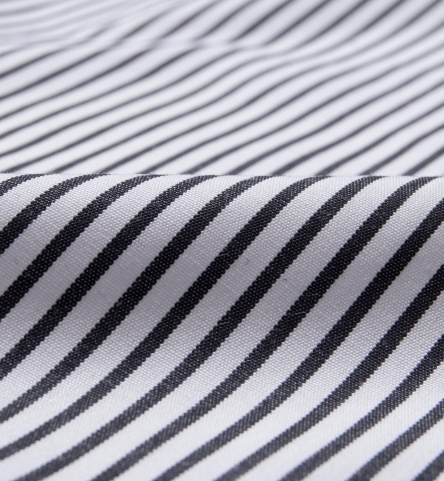 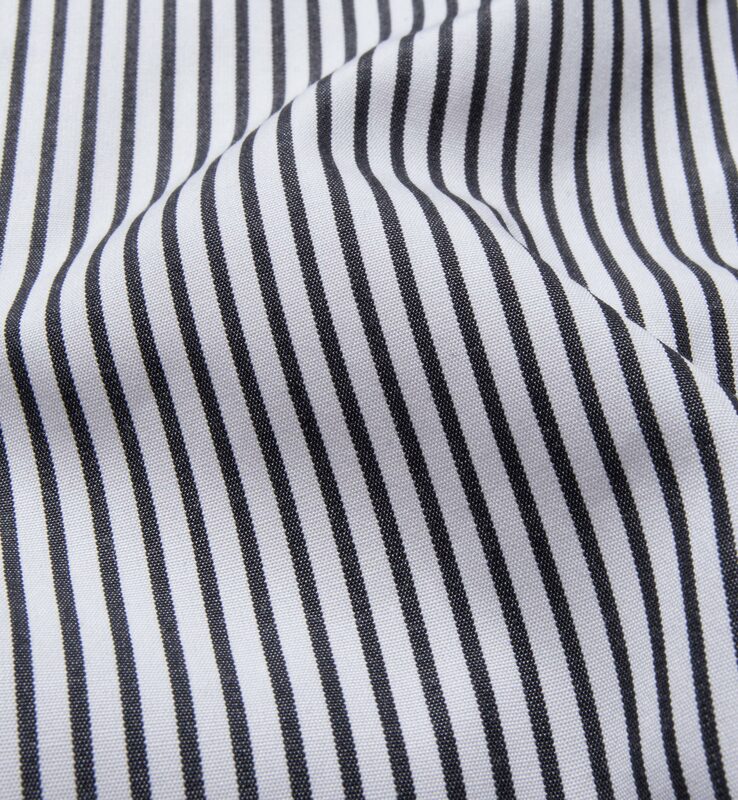 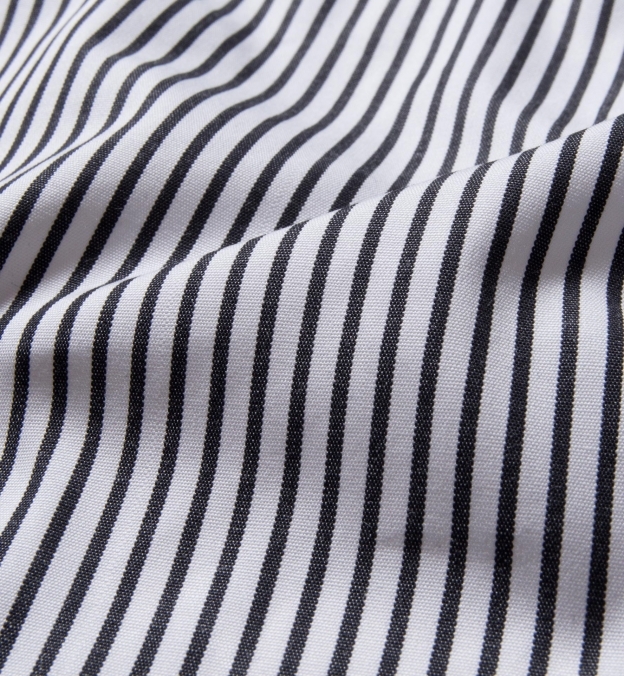 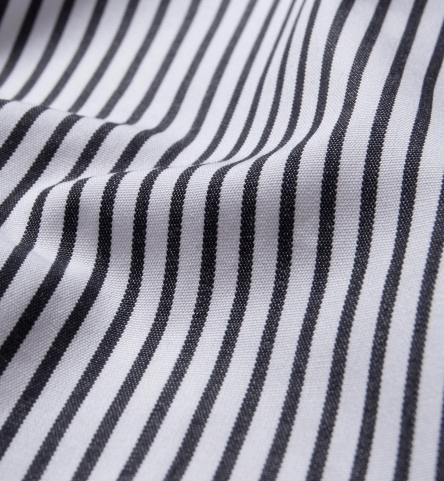 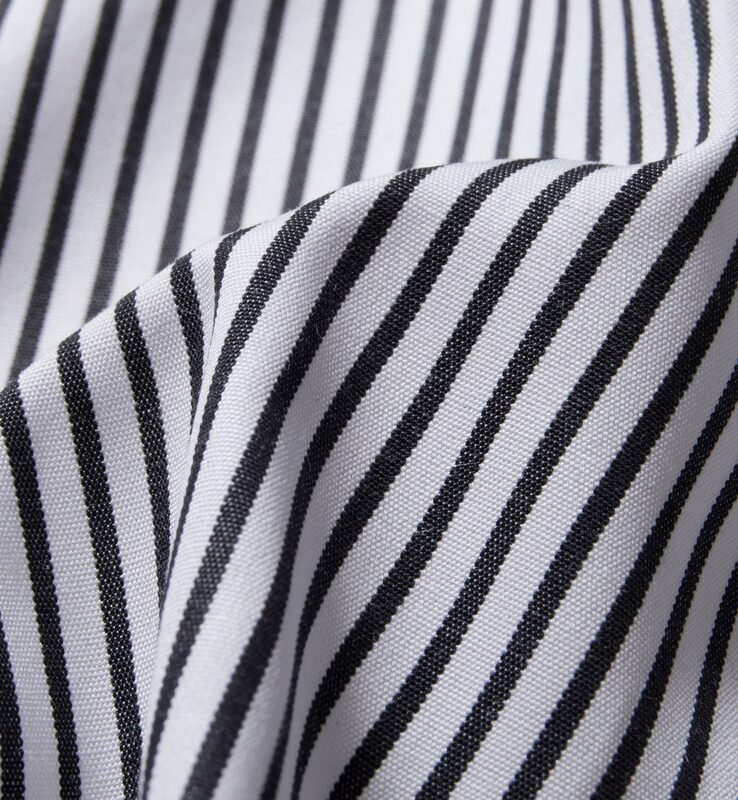 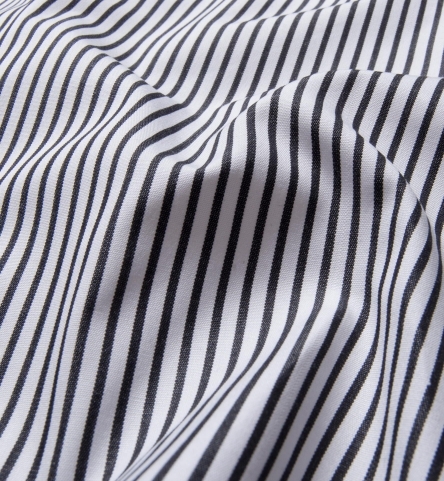 A timeless black stripe for those who want something with a great downtown vibe. 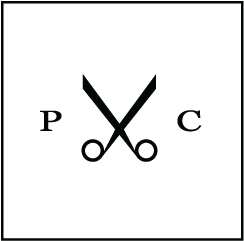 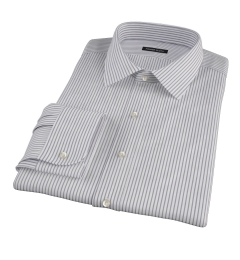 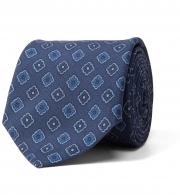 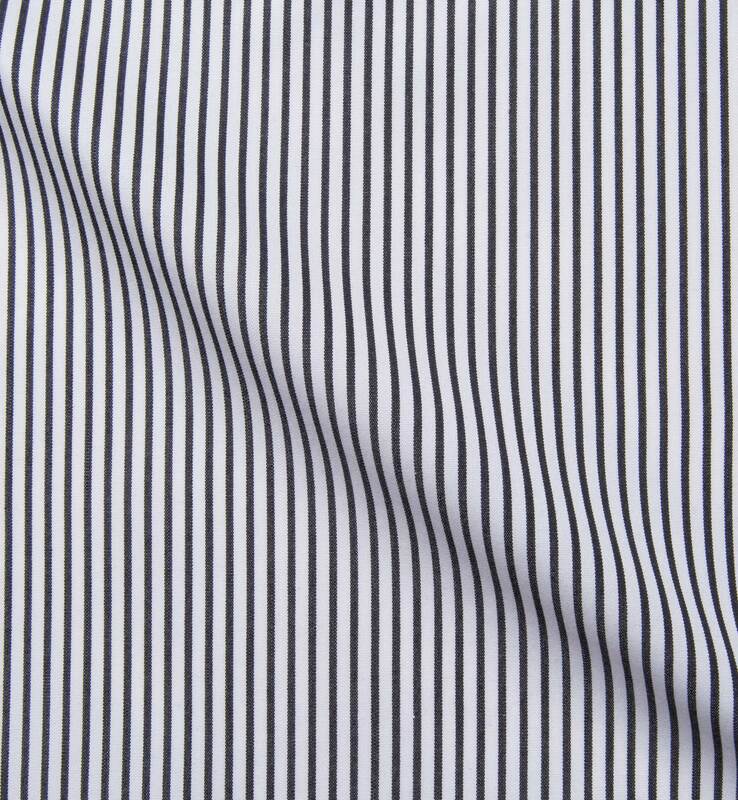 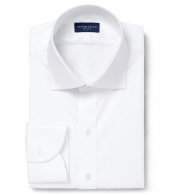 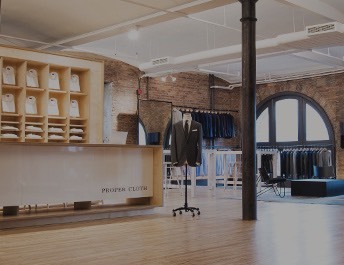 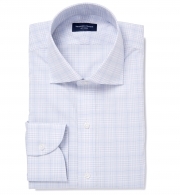 It's a mid-weight broadcloth that irons up really well and resists wrinkling throughout the day. 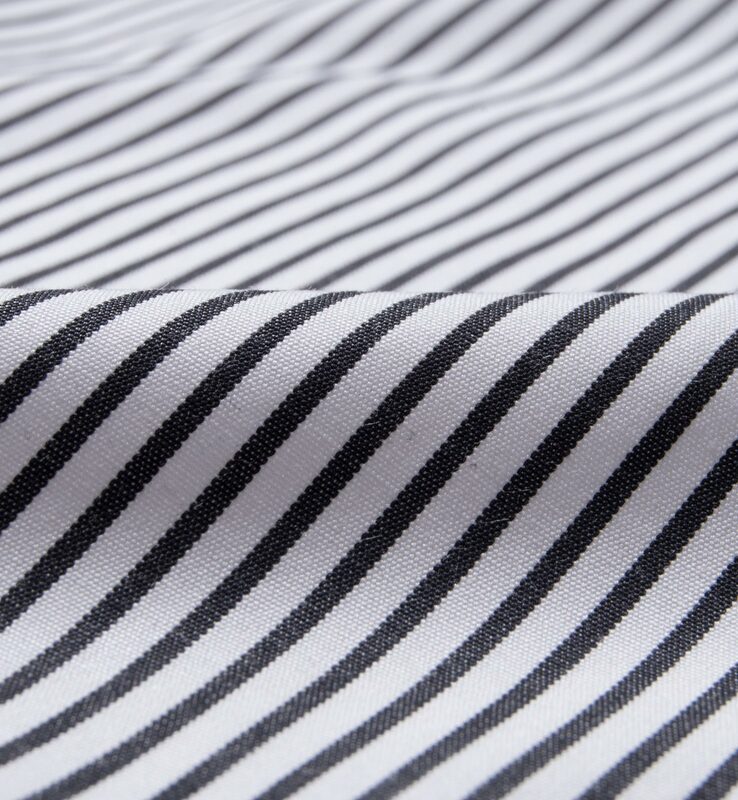 Woven by the Canclini mill in Italy with 90s 2ply by 60s single ply construction.